Veterinarian's begin to suspect liver disease or the presence of a liver tumor in dogs when they notice symptoms such as appetite loss, diarrhea and vomiting, the accumulation of fluid in the abdomen or jaundice (discolored eyes.) Diagnosis involves the use of blood tests that determine liver function such as levels of liver enzymes, ultrasound testing. If a negative result is received, the veterinarian might recommend testing a sample of the liver tissue using one of several methods such as FNA (Fine-needle aspiration.) Treatment options include surgical removal and chemotherapy for tumors that are primary (originate in the liver). Not all dog liver tumors can be removed with surgery such as diffuse HCC tumors or nodular tumors. The prognosis or survival rate for dogs after liver tumor surgery is years with surgical removal being considered a cure. Chemotherapy can be used to delay tumor progression. The survival rate for dogs with neuroendocrine tumors and bile duct carcinoma after surgery is not good due to the risk of cancer spreading to other parts of the body and reoccurrence. (5)"
What Is Liver Cancer in Dogs? The liver is an important part of the body as it affects many bodily functions such as blood clotting, breaking down toxic substances, waste products and stores energy for the body. If a liver tumor in your dog is the cause of liver disease it may or may not be cancerous. Cancerous tumors (hepatic neoplasia) may be the result of a primary liver tumor (one that originates in the liver) or may be a metastatic tumor (one that spreads to the liver from elsewhere in the body). The most common primary liver tumor in dogs is called hepatocellular carcinoma (HCC). There can be a single large tumor or several discrete tumors (called nodular or multiple liver nodes). Most tumors do not spread to other parts of the body. Less common tumors can spread (metastasis) such as bile duct carcinomas and neuroendocrine tumors. Many pet parents ask how do you know if your dog has liver cancer? As mentioned, liver tissue can sustain a good deal of damage before some patients exhibit any symptoms. These can be symptoms of a benign (non-cancerous) or a malignant (cancerous) tumor. You’ll need to see a vet for a diagnosis. Can Liver Cancer Be Painful in Dogs? All forms of cancer can cause pain in dogs. The best approach is to work with your veterinarian to anticipate any pain before and after treatment. If your dog has symptoms associated with a liver tumor, take him to the vet as soon as possible. 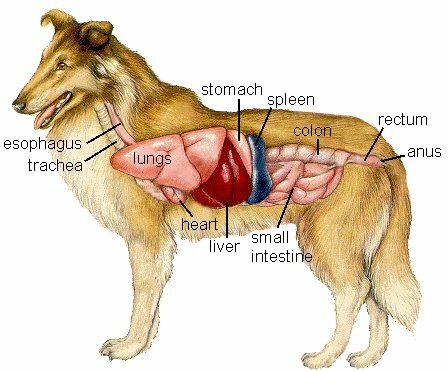 Your vet will do a complete physical examination which will include palpating the abdomen and feeling for the size of the liver. Your vet will do blood work that will tell him or her about the way your dog’s liver is functioning by looking at the liver enzyme level (there are 3 types of enzymes). Blood work may also indicate the likelihood that your dog has certain types of cancer. The only way to determine whether the tumor is benign (not cancerous) or malignant (cancer) is to do a biopsy. This is a surgical procedure in which a piece of the tumor is removed and examined. A dog with liver cancer can be treated. If the tumor is confined to the liver, and has not taken over the whole liver, it can be surgically removed. Often the tumor has spread to the liver from other parts of the body, however, so removing the tumor from the liver does not solve the problem in those cases. Unfortunately, when a tumor has spread to the liver, it may be time to consider euthanasia. Watch your dog carefully to judge his level of discomfort, and talk to your vet about making this difficult decision. See our section on canine cancer to better understand the implications of this disease. How Long Can Dogs Live With Liver Cancer? If the tumor originated in the liver (primary) and if caught early, a dog can live for years after surgery. The average survival time for dogs with one large tumor (hepatocellular carcinoma) is 3.8 years. The incidence of cancer spreading to other parts of the body is 5%. (6) The use of chemotherapy can also delay tumor growth. If the tumor is a neuroendocrine tumor or bile duct carcinoma, the prognosis is not as good, since there is a greater likelihood that the cancer has spread or can reoccur. Dogs that are not treated for liver cancer die at a rate that is 15x dogs that are treated. When not treated the tumor can rupture as the disease progresses, resulting in problems such as internal bleeding. Carduus marianus (Milk thistle): herbal liver restorative with extensive scientific study and support. Chelidonium majus (Greater Celandine): remedy for indigestion, jaundice and sluggish livers. Clinical trials have supported this traditional usage. Natrium Sulphate (C6) (Nat. Sulph. ): acts as a cell cleanser and is often recommended to detoxify the liver. A good commercial source for additional research on supplements formulated to improve liver health is Liveraid. Also look at their supplement formulated to improve immune system and cellular health called C-Caps. Download this brochure on liver cancer in dogs. It contains the latest information on dog liver cancer treatment. Gastroenterology. Philadelphia, PA: W.B. Saunders Company; 1996:553-632.